DAN LOTHIAN, correspondent: This is Cuba. Old cars, horse-drawn carts, hand tools to cut grass. A poor country in the midst of historic change in government and in the church. 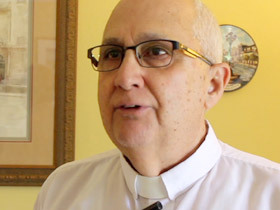 FATHER RAMON HERNANDEZ (St. Lawrence Catholic Church): A lot of things are coming together. It's not something today. It came from a long process and now I think it's the timing. Excitement is more and more. Expectation, hope and especially for the new generation. LOTHIAN: Everyone points back nearly a decade, when Fidel Castro first relinquished power to his brother Raul. This socialist country, hanging on to the past, began taking small steps into the future. I asked this woman if she felt free to practice her faith. "Now in Cuba? Yes," she told me. "Before? No." During the Cuban revolution, priests were routinely jailed or exiled. Freedom of expression was at your peril. The island of Cuba is predominantly Catholic, but only a small fraction of the people here regularly attend Mass. While most people would agree there's a new openness toward religion, the government still controls and monitors what goes on. But something that hasn’t happened in more than 50 years caught our attention and resulted in this trip to Cuba. It didn’t take place in Havana, but a four hour drive to the far-western province of Pinar del Rio, in the remote village of Sandino. All that you see now is this rock, but what it represents is something much bigger. The Cuban government has granted permission to build the first Catholic church in decades on this site, a building that when completed will seat 200 people. (to Siomara Ramos, a parishioner) Is this new church important for you and the community? SIOMARA RAMOS (Parishioner): (through translator) Yes. We will have a temple where we can worship God. It will be a light in the community. LOTHIAN: For years the “temple” has been a back yard carport at a nearby rented house. Every Sunday Father Cirilo Castro—no relation to the president—unlocks and unpacks cabinets to prepare for Mass. On this day he got a little help setting things up. In this congregation made up of mostly women and young girls, it’s not unusual for Mass to be interrupted by angry chickens. But this is where people worship and take Holy Communion, in a village created by Fidel Castro’s revolutionary forces decades ago for peasants suspected of supporting the resistance. Father Cirilo says this new climate creates significant opportunities for the church and a generation raised in what until recently was classified as an atheist state. "Is this an important moment?" I asked. 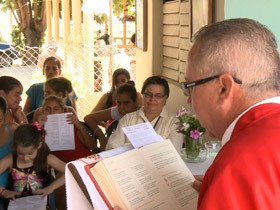 FATHER CIRILO CASTRO (Sandino Church): (through translator) This is an important moment for the Church and all of Cuba. It is a blessing. LOTHIAN: Getting permission to build a church is one thing. Paying for it in a country where the average wage is between $20 to $30 dollars per month is quite another. That’s where Father Cirilo’s longtime childhood friend Father Ramon Hernandez comes in. LOTHIAN: St. Lawrence Catholic Church in Tampa, Florida has been collecting money for several years to fund the $92,000 dollar project. They’ve raised $75,000 dollars so far. FATHER HERNANDEZ: People, not only the Cubans, Spanish community in general, are so proud to be involved in this, because it's like repay something for the Cuban Church. 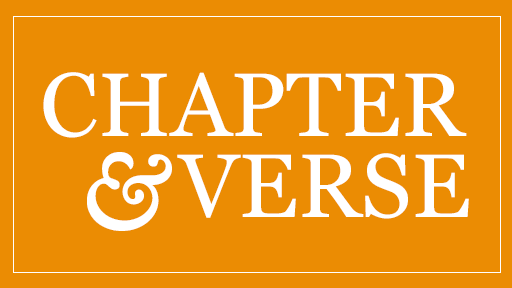 LOTHIAN: The thawing of tense relations between the church and state is not lost on the Protestant community either, which makes up about 5 percent of the population. Captain Julio Moreno runs the Salvation Army and says this is a “healthy” moment. 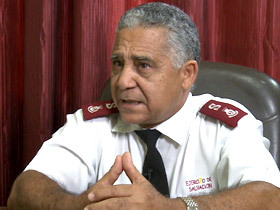 CAPTAIN JULIO MORENO (The Salvation Army Havana Central Corps): The island is very fertile for evangelism. We also help people with addictions, alcoholics, people with hard economic conditions. LOTHIAN: They also hold weekly church services. But the Salvation Army is low-key, isn’t listed in the phone book, and this is Captain Moreno’s first on-camera interview. (to Captain Moreno) Where do you see the Church here in Cuba over the next 5 or 6 years? CAPTAIN MORENO: (through translator) The relationship between the United States and Cuba has been very positive. We have the opportunity to reach more people and serve more needs. LOTHIAN: The upcoming visit of Pope Francis in the fall, the third Pontiff to come here, is expected to be a boost to more reforms. ORLANDO MARQUEZ (Communications Director, Archdiocese of Havana): Receiving a pope's visit is a great event in any country. But in this case it has special significance. 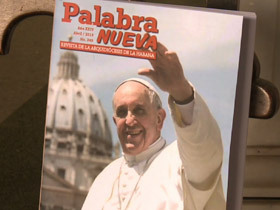 LOTHIAN: Orlando Marquez, communications director at the Archdiocese of Havana and editor of its "Palabra Nueva," or "New Word," magazine, says people here are aware of the Pope’s hand in U.S.-Cuba relations. MARQUEZ: He sent letters to both presidents Castro and Obama and he encouraged the process. He wanted to remove obstacles in order to improve relationships. LOTHIAN: President Raul Castro publicly thanked the Pontiff during a trip to the Vatican a few months ago and promised to not only go to Mass during the Pope’s Cuba visit, but possibly start praying and attending church in the future. 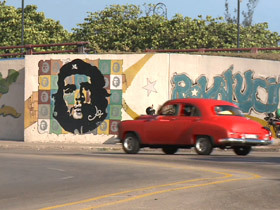 While some may doubt President Castro's motives and see this as just another political move, one Cuban government official told me Castro meant what he said, that it was well thought out and that he wouldn't have just made these comments for the sake of good publicity. There are still skeptics, and some in the Cuban exile community don't think reforms, religious or otherwise can truly take place without an end to the Castro regime. But inside churches across the island, there is less talk about politics and more focus on hearts and minds. FATHER HERNANDEZ: How do you restore the social values? Maybe the boom, economical boom, restoring money will be fast. But restoring values, especially in the new generation, will be difficult. MARQUEZ: Religion is not only living in a temple among four walls. Religion for us must be involved. LOTHIAN: You can travel to Cuba and see a snapshot of the past, but these days more and more people are speaking about the future. For Religion & Ethics NewsWeekly, Dan Lothian in Havana, Cuba. Next week President Obama travels to Cuba on March 21-22 to try to move the US-Cuba relationship past a half-century of Cold War antagonisms. With the recent approval of plans to build the first new Catholic church in over 50 years and Pope Francis’s visit to the island last fall, there are signs of increasing openness to religious life in Cuba after decades of repressive Communist rule.